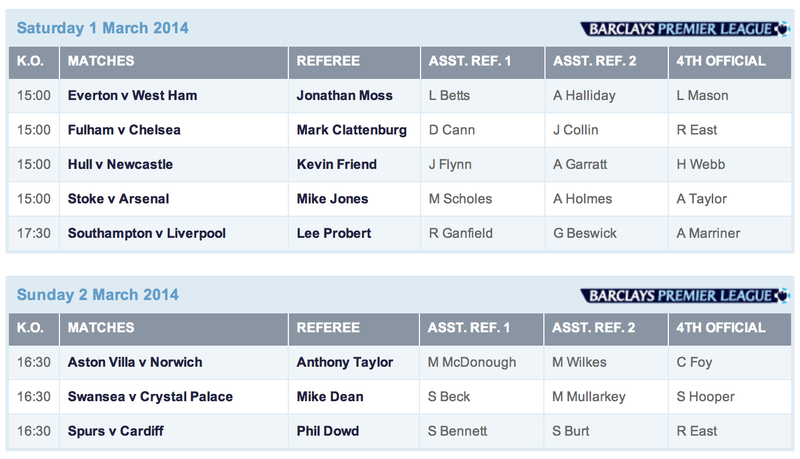 Here are the referees for this coming weekend in the Premier League. There are no particularly huge matches, so it should be a quiet week. The one thing to note is that, aside from a fourth official gig on Saturday, Howard Webb will be resting after his mid-week Champions League match. Considering his form of late, this is probably a really good thing.